Brandon is the second largest city in Manitoba. As the city has expanded over the last several years, so has it’s rate of vandalism. When your home or storefront gets hit with tags or unwanted art, call in our Gorillas! Our Brandon graffiti removal will get your property looking as good as new. To street artists, every surface is a potential canvas. It can be something as large as a storefront or as small as a mailbox, but it is still a nuisance. Having paint splashed over your property gives the wrong impression to passers-by and even invites more vandalism. When street artists see tags or designs on a property, they feel the need to leave their mark as well. If you hesitate to remove this paint from your property, it will not take long to become completely overrun with graffiti. 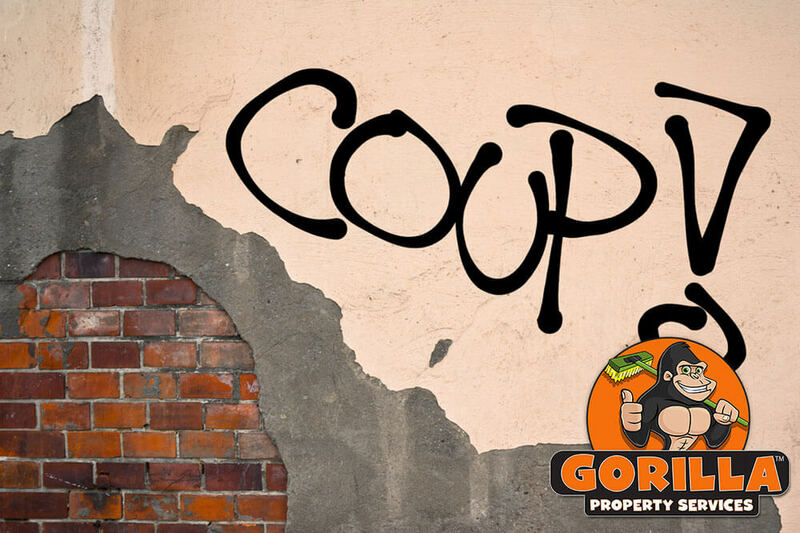 In order to prevent the spread of graffiti across your property, our Gorillas try our best to have same day service for your Brandon graffiti removal. In addition to moving quickly, Gorilla technicians work safely for the sake of your property and the environment. Our Brandon graffiti removal service uses eco-friendly products and cleaning solutions. These solutions are non-corrosive, meaning they will not cause damage to your property or the surrounding area. If you find that you are being hit regularly by graffiti artists in your neighborhood, our Brandon graffiti removal is available as a regular appointment. In addition to scheduled removal, Gorilla Property Services also offers an “Anti-Graffiti Coating”. This coating cannot prevent the placement of graffiti but it does make it a lot easier to clean off! This system is non-destructive and allows our Gorillas to clean the area of paint without chemicals.